As website and online marketing take over a larger share of corporate marketing budgets, there is a distinct shift towards digital content and away from custom newsletters & other printed materials. This means that your practice should invest in its website, social media and online marketing. But, it also presents a strong case for targeted print campaigns that provide a balanced promotional strategy. 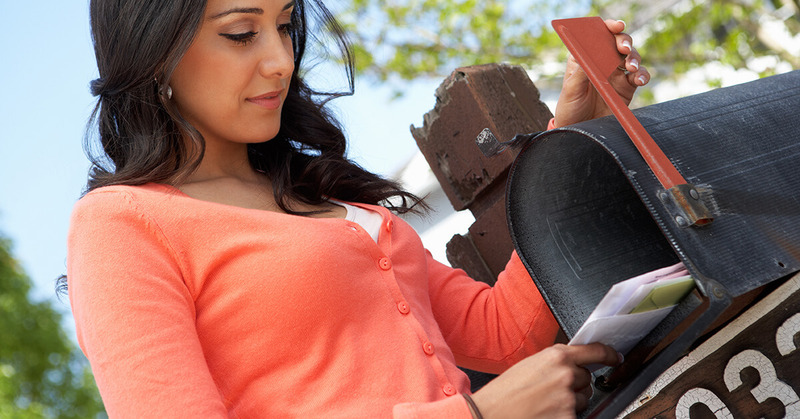 Think about your mailbox 5 years ago—it was often full with catalogs, coupons, flyers, bills etc. Now, 80% of that mail goes straight to your inbox, leaving you with only a handful of post items each day. What does this mean for consumer behavior? While we used to mindlessly throw “junk mail” into the trash, we now swipe and delete emails just as easily. And those few pieces of printed mail? We take more time to scan them and might even read a few. Can Custom Newsletters Stand Out and Attract New Patients? What if your practice had a custom newsletter mailed directly to patients? It might be one of 3-4 items they receive in the mail that day, getting more attention than the 45 emails in your inbox. For example, someone checks the mailbox and has 5 items: a magazine, a personal card, two bills and your practice’s monthly newsletter. They will probably open the card first, place the bills on the desk to pay and thumb through the magazine. Your newsletter will be a disruptor (in a good way!). Standing out from the normal items, a custom newsletter will bring different content and appeal to the patient’s sense of curiosity. They might not read the articles in detail—but they will remember your practice, the great care they received and how PT helped them feel better. While it’s not realistic to think that one newsletter will prompt every recipient to pick up the phone and call. You can expect to see results. By sending a newsletter each month, you remind patients about your practice and how physical therapy can improve their lives. Different topics, like back pain or knee pain, can have varying levels of appeal. One day, say when they receive your shoulder pain newsletter after a busy day working in the yard, it will click. Your marketing will be in the right place at the right time. The patient will connect with the topic. 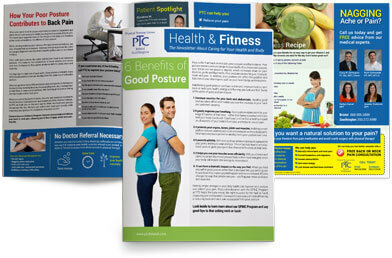 And, they will identify your practice with other newsletters on a range of PT conditions, building credibility. Now, you have established relevancy—the secret to the most effective marketing. How Can You Go From A Newsletter To An Appointment? Once your practice and physical therapy feel relevant, it’s a smooth transition for the patient to want to get care. You need to make it easy for them to book an appointment. Include your phone number on the mailing panel (where the patient’s address is) and throughout the internal pages. People are also almost programmed to go online to look up phone numbers so be sure your website is up to date and that it can be easily be found from Google. Key phrases like “[Practice Name] physical therapy” or “physical therapy [Town]” should have your website at the top of the search results. Some people may also use social media, like Facebook or Yelp, to find you. Be sure to have your phone number available across a variety of social media sites. You might need to entice some with a call to action that begs for immediacy. What does that mean? Offer them just one more reason to make an appointment today. That could be an offer for a free evaluation on the back of the newsletter or a discount on treatment. If you see a lot of cash payments, you can also promote that you accept cash and direct access (saving them a referral from their primary doctor). A meaningful incentive to take action now can generate additional revenue for your practice and get more patients into PT. A custom newsletter bringing awareness to your practice and how PT helps patients feel better might seem like an old marketing tool. But, with a visually appealing design and the reduction of other printed marketing in the mailbox, you can see big wins with results from monthly newsletter campaigns. Visit our newsletter page to see how you can grow your practice today!